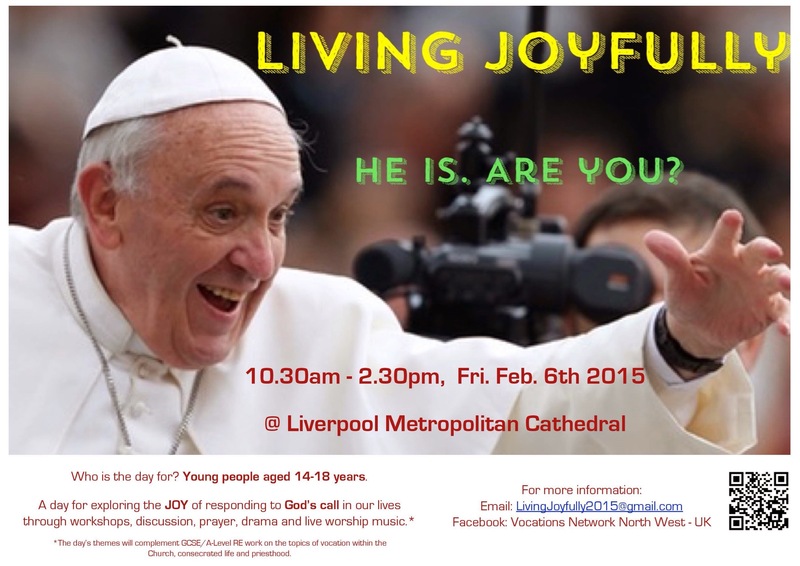 Preparations in our Vocations Network North-West core group (and larger group of interested volunteers from about 20 different congregations) are stepping up for our 2-day "Living Joyfully" vocations festival event at Liverpool Metropolitan Cathedral. See below 2 posters for the 2 days. The Friday event is aimed at young people aged 14-18 and will provide a useful complement to G.C.S.E. and A-Level R.E. work on vocation, religious commitment, religious life and the priesthood. Looking south from the Jubilee Tower, Trough of Bowland. On the way up the Trough of Bowland in N. Lancashire yesterday. Frost, ice and mist at SFX this morning.